Mrs. Eleanor Lancaster Gasahl, age 88, passed away Sunday, August 5, 2018. She was born in Clinton, Iowa on July 21, 1930 to Maxwell & Betty (Lancaster) Stone and married George Gasahl Jr. on June 17, 1950. Mrs. Gasahl had been a loving wife, mother and grandmother who was a "Play Lady" in the Hackley Hospital Children's Ward, was active in the PTA of Twin Lake. Eleanor and her husband owned and operated Graichens Store in Fremont for over 30 years. She was also an usher at the Frauenthal Center for Performing Arts, member of First Congregational Church UCC and past board member at the Hume Home. 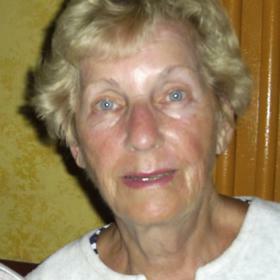 Eleanor was an avid swimmer at the YMCA and loved spending time on Twin Lake. She will be greatly missed by all who knew her. Sons, George (Dr. Laurie) Gasahl III of Lakeside, Jim (Brenda) Gasahl of Norton Shores; daughters, Marjorie (Dr. Richard) Goosen of Cedar Springs, Mary Bown of FL; grandchildren, Allison Roberts-Dorr, Benjamin Dorr, Alicia Dorr, Tracy (Jason) Lucas, George "Henry" (Amy) Gasahl IV, Tucker Bown, Evan Bown; great grandchildren, Emareece, Noah, Dylan & Evelyn; 5 step great grandchildren; sisters, Patricia McDonell & Barbara Wenk. Eleanor was preceded in death by her husband, George; son-in-law, Vancey Bown. Saturday, August 11, 2018, 2:00 pm with visitation one hour prior to the service at First Congregational Church UCC with Rev. Timothy D. Vander Haar officiating. MEMORIAL: Hospice of Michigan or Michigan Parkinson Foundation.